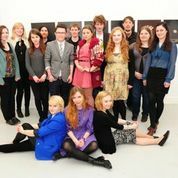 Red Bird’s remit is to programme and curate events for young people in Galway whilst contributing to the visual art and education policy of Galway Arts Centre. With these goals in mind the collective is deeply involved with the community, and aware of its audience in the process of art making. The social dimension of Red Birds work is evident among its own community, that of young people, with events such as Prom, Culture Night and partaking in events such as Cuirt and Youth Ensemble Scheme conferences.. As an organisation, the locale and audience is vital for the continued applicability and artistic vitality and will continue to play a central role in all future projects. A dynamic culture of diversity is instilled within the collective, which itself is made-up of a multitude of backgrounds, nationalities and identities. This inherent dynamism underwrites the multiplicity in practice and approaches to art, with projects in fields such as performance, visual art, film and architecture to list but a few. This vivacity of character culminated in the multi-disciplinary inaugural exhibition Sample, opening in Gallery 2 of GAC in May 2012. 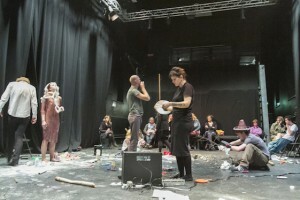 From this point Red Bird has continued to push its remit, oeuvre and artistic experimentation in further projects such as Belong, Shaping Space, Walking Playthings and POD (Place of Dreaming). 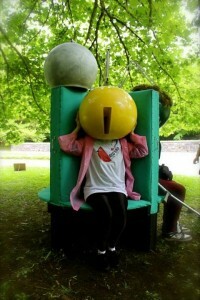 Red Bird believes in creating and maintaining an artistic space of play, experimentation and community. In this the group endeavour to provide a safe expressive environment for young artists to challenge and progress their practice. Red Bird hopes to encourage an artistically fertile organisation that can foster and mentor young artists well into the future. To do this the organisation is always looking for new members with new interesting ideas, and is open to enquiries and dialogue with its audience and potential new members.